Google enables businesses around the world to securely store and share their files for better collaboration with Google Drive. Google is named a Leader in The Forrester Wave™: Enterprise File Sync and Share Platforms, Cloud Solutions, Q4 2017 report. 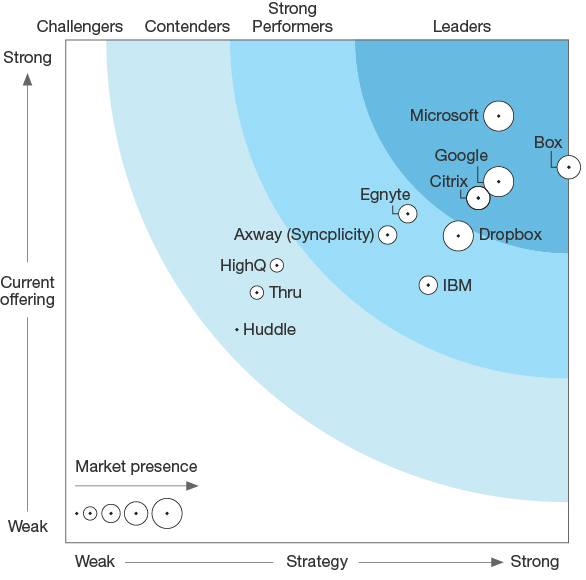 We are proud to receive this recognition amongst the vendors evaluated by Forrester.